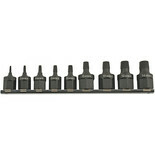 HSS drills - 2, 3, 4, 5, 7 & 10mm dia. 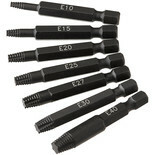 Spiral flute extractors sizes - 1 to 6. 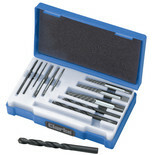 A quality set of HSS drills and corresponding spiral flutes, designed for extracting and removing damaged, jammed or cross-threaded screws. 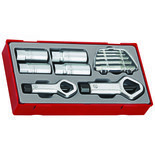 Comes complete in a specially moulded case. 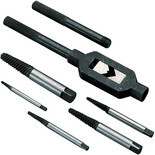 Remove broken, damaged & stubborn screws the easy way with this 7 piece extractor set suitable for a range of sizes from 3 - 19mm. 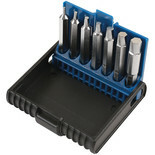 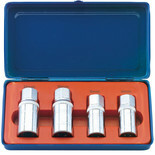 Damaged Hex bolt extractor 7piece set - 1.5, 2, 2.5, 3, 4, 5, 6mm x 50mm long. 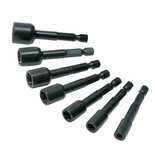 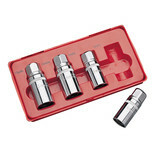 Designed for removing damaged, cross threaded or jammed Torx® fittings. 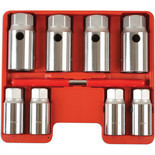 The Draper SES 4 Piece Stud Extractor Set has been manufactured from chrome vanadium steel hardened, tempered and chrome plated for corrosion protection.